One key aspect of our country is the names. Punjabis are very fond of English language...more than even the British themselves. So they always give their sons and daughters English names - Shunty, Bunty, Monty, Mintu, Rimpy, etc. The list is fabulous & endless. Maybe the British should consult us on creative English names. 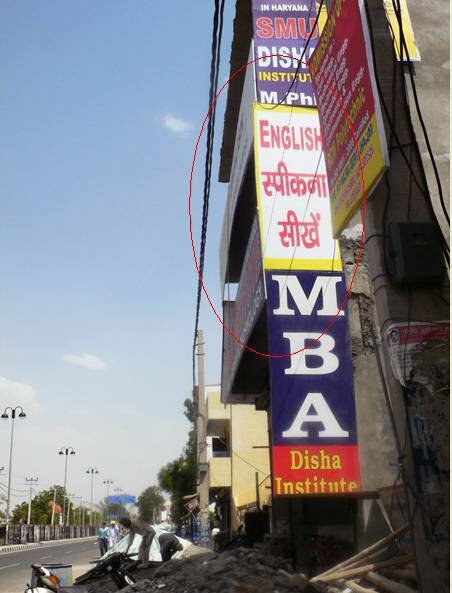 So head to Disha Institute for "English speakna". While you are doing that you could also do your MBA from there I guess. Hai na? 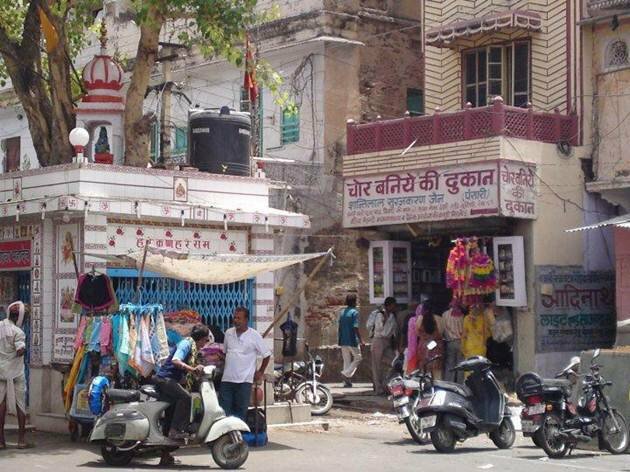 Anyhow, our first shop is the world famous...sorry India famous shop that happens to be in Kanpur. Not many things from Kanpur, apart from the city itself, are famous, but Thaggu Ke Laddoo certainly is. Check out his laddoos the next time you are in Kanpur & do not miss out on Badnaam Kulfi as well. And kindly note that the punchline (it really punches you in the face) is now copyrighted. Next we come to another amazing bit of branding (as you marketing folks like to call it). This is actually a chain of restaurants in Giridih, Jharkhand. Some genius came up with this name for his restaurant and other geniuses copied it. The result? See for yourself. It's a whole chain now. Where you want to eat is your choice - Sri Bewaqoof Hotel or Mahabewaqoof? Whatever catches your fancy. This is Indian genius at its best. These restaurants have become popular because of their odd names. There is a lesson for all of us here. But no. Please don't think of changing your name to Thaggu...or Bewaqoof please. Next we have another genius. Now one does not know where his shop is, but the guy is surely a genius. A lot of people tell us that to be successful you have to be different. But how many of us have the courage to be different? Here goes our friend. The next one will surely amaze you. He is an ingenious fellow. Who says we Indians lack ingenuity? Take a look. Now that is why they call Facebook the ultimate social medium. A lot of people must be coming each day to have Sevpuri, Paanipuri, Dahi Bhalla, etc., etc. 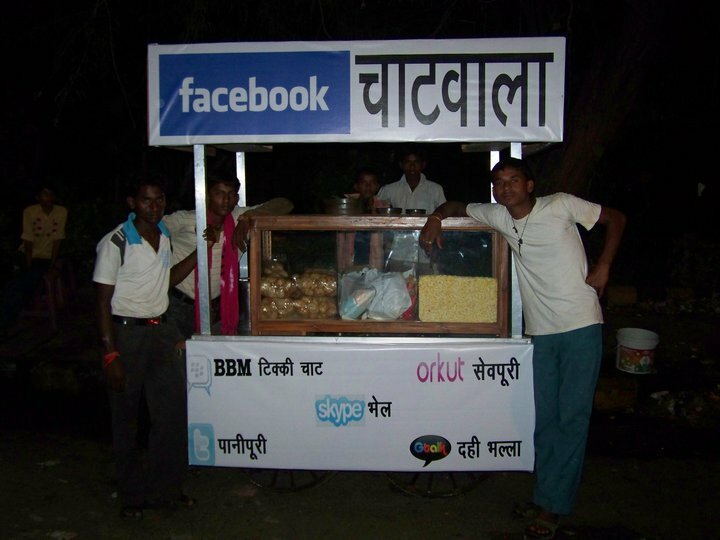 And those of you who were always curious, the man behind the counter is Mark Zuckerberg himself. In India, as we said, we are in love, sorry obsessed with English. And therefore it stands to reason that whatever we do has to have English in it, or it should be an English sounding name. 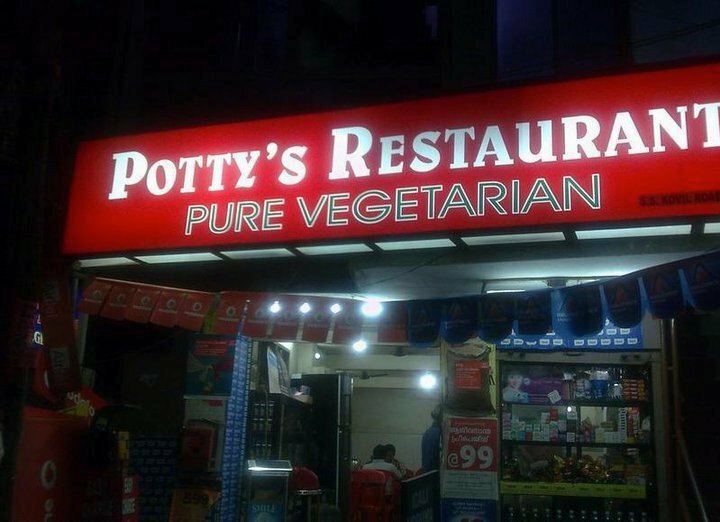 Let me present Potty's Restaurant to you. Brilliant. Isn't it? Just like we have Manpreet becoming Monty, here maybe Patwardhan has become Potty. So in the end we have an elegant abbreviation as well as an upscale English name. Pure vegetarian as well. Please note. So that completes our list this time. But our post is never complete without a video. So here is our video for today. Presenting Muchchad Singh Paanwala. Sounds like the name of a dacoit. But he is really our dear old Paanwalla, with a rather creative name. And remember, better to sell paan than be a dacoit.